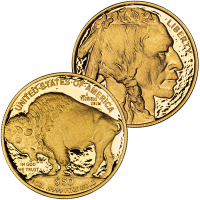 Appearing for the sixth year in a row for the series, the 2011-W $50 American Buffalo Gold Proof Coin is struck by the US Mint from one ounce of .9999 fine 24-karat gold. Struck along with bullion quality coins of the same design, the series was authorized as part of the Presidential Coin Act of 2005. However, making these coins unique and highly collectible aside from their intrinsic value is the design found on each strike. That design is based on an extremely popular issue in American Coinage, the 1913-1938 circulating Nickel. Commonly known as the "Indian Head Nickel" or the "Buffalo Nickel," these coins were originally designed by artist James Earle Fraser. The US Mint also struck fractional Proof Buffalo Coins in 1/2 ounce, 1/4 ounce and 1/10 ounce sizes in 2008 (the only year it did so). 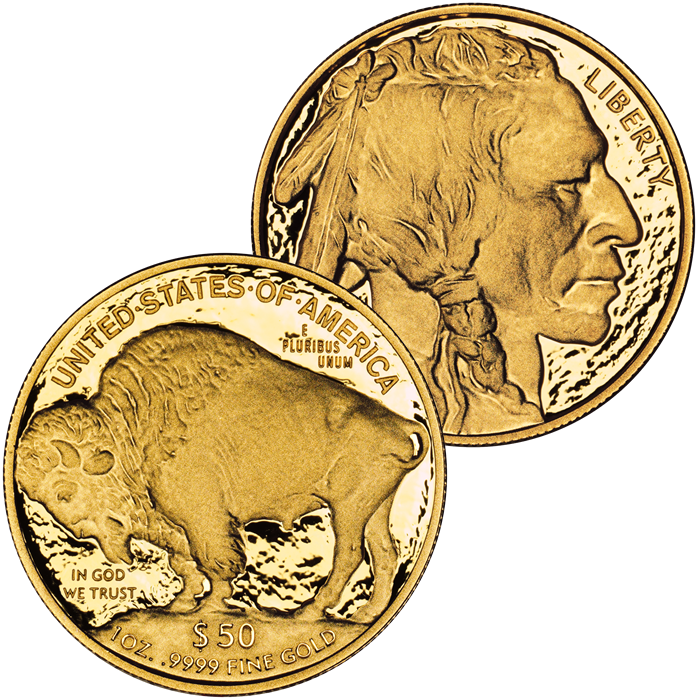 The 2011 Gold Proof Buffalo Coin is listed with a May 19, 2011 release. Featuring the portrait of a Native American on the obverse (heads side) and the image of an American Bison, also known as a Buffalo, on the reverse (tails side), this Gold Coin shows a reproduction of the 1913-1938 circulating nickel imagery as done by James Earle Fraser.